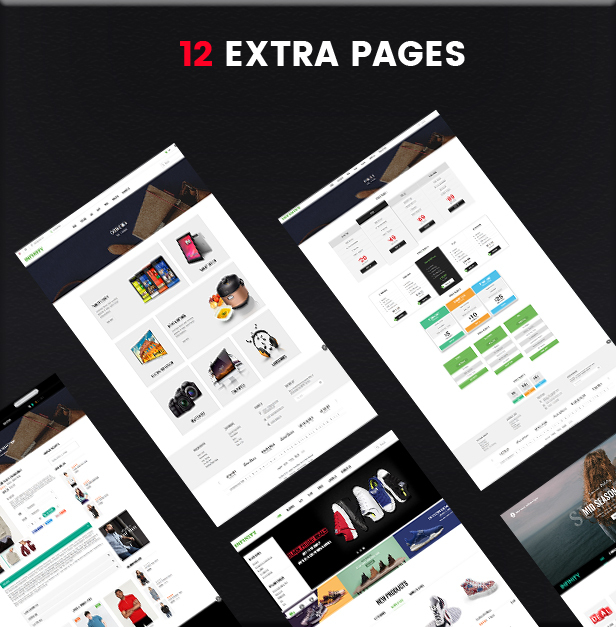 Infinity is a modern and powerful multipurpose Magento 2 shopping theme that is designed for fashion store, shoe store, watch store, accessories or any retail websites. Infinity has intuitive admin panel with built-in functionalities: theme installation, theme setting, product and category layout configuration, etc. SM Infinity is easy to customize and supports a dozen of advanced features. Besides, Infinity supports 3 distinguish homepage layouts and unlimited color variations for user choosing. Let’s start to explore this awesome theme and feel it more now! Infinity is designed to be fully responsive, so your eCommerce theme will look amazing on all devices – perfect for shopping on the go! This theme includes 3 header and 3 footer styles for you choose from. You can select the header & footer style, which is suitable for your eCommerce store. Premium included extensions worth +$200: SM Basic Product, SM Mega Menu, SM Quickview, SM Image Slider, SM Listing Tabs, SM Search Box, SM Categories, SM Shop By, SM Cart Pro.